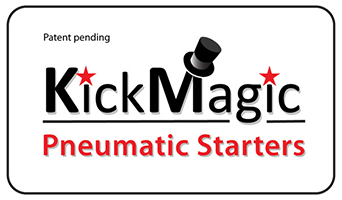 Please refer to the KickMagic User’s Guide and Installation Manuals for more detailed information about installing KickMagic. There is one for 1963 to 1970 PreOIF and one for 1971 to 1979 OIF models. Both can be downloaded from this website. 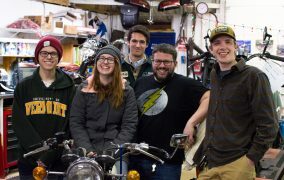 Click on the video link below to see a short overview of installing the system on a 1970 Bonnie. Other years are similar as parts commonality is very high between systems. A full length installation video will be forthcoming. 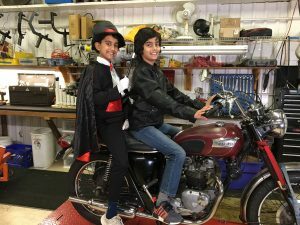 But for now, watch how a couple of kids get it done with a bit of, uh, magic as Shyam “Get’s the Gal” with help from Roshan, the KickMagic Wizard! 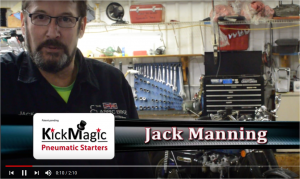 After installation, check out the second video on proper starting technique using the system.